In summary the trip was excellent, everyone without fail said it was all that they had hoped for and more. Accommodations were excellent especially the hotel in Killarney. All had good locations, wonderful breakfasts, and great service. Transportation; Our driver was beyond good, a true gentlemen who was always on time, very organized, extremely helpful, a superior driver and just a good man. The coach was perfect; comfortable, nice size, easy in and out. Golf courses; For most of us, Lahinch was our favourite. With that said, all the courses were in great condition, fun and challenging to play. The caddie and buggies were more than adequate. You were great to work with and you put an exceptional trip together. I appreciated your timely answers to my questions, your patience in working with me and overall, doing a super job. 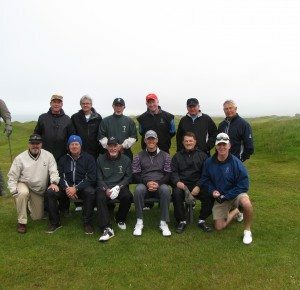 I would recommend you to anyone that is thinking about a golf excursion to Ireland!!!! !